When you’ve been living in the same city for 4 years, and the same area for 3 of those, you’re constantly on the lookout for new things to do. Clarendon Park is the student area where most University of Leicester students live. It has a lot to offer; from hairdressers to restaurants to charity shops. Queens Road is in the centre of Clarendon and we’re always looking forward to new places (mainly bars) opening. This month we were not disappointed. 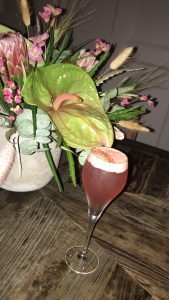 A new bar has opened called ‘100&Six’, so naturally we went to check it out and here’s what we thought. Firstly, the name. 100&Six is very simple, but effective. As soon as you enter the bar, you can sense the relaxed and friendly atmosphere, due to both great décor and very welcoming staff. The staff were extremely tentative and smiley, delivering excellent service. The interior is very stylish and modern. There is seating both upstairs and downstairs. The seating downstairs is more for drinks and nibbles, whilst the seating area upstairs is for both food and drinks. I liked the attention to detail, from the beautiful plants, to the floral cushions. There was a great range of drinks on offer, from wine and beer, to the fanciest cocktails; all reasonably priced for a sophisticated night out, however probably at the higher end of a student budget. 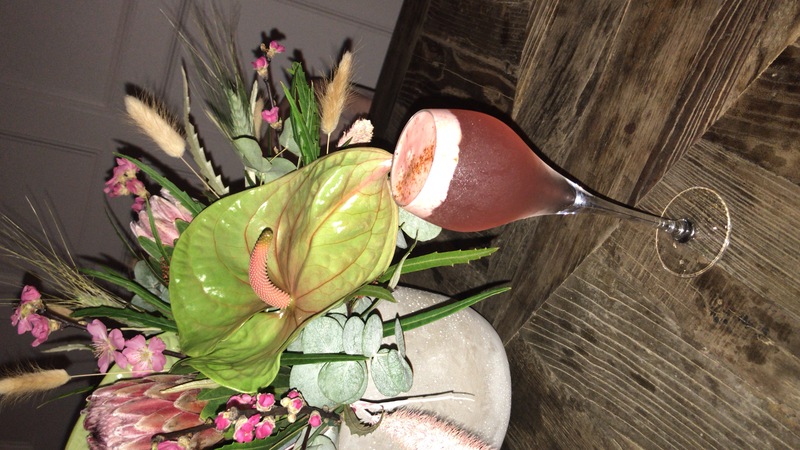 I enjoyed the ‘Bedroom’ cocktail which tasted amazing and was made in front of me. Everyone deserves a treat every once in a while! My friend and I then shared a bottle of wine which also lived up to expectations. This venue also functions as a restaurant. We unfortunately didn’t get to try the food this time round, however I would love to back and give it a go. They offer everything from small plates, to Sunday roasts. Word on the street is that they have an insane cheese fondue… will definitely be giving that a go in the very near future. A bit random but the only complaint I would have is the toilets! They are unisex, which isn’t really a problem, however the lighting in them is very poor, making it very difficult to see! Not what you want when you’re going to the loo! All in all, this bar is everything that you could want and more, whether it’s for an afternoon catch up over coffee or an evening of fancy cocktails. I would highly recommend checking it out, I can’t wait to go back to give the food a try.